I am finally getting around to finishing Eight Cousins. I admit this book has not held my interest like I hoped it would but now that I’m getting closer to the end, I’m enjoying it more. Perhaps I know too much back story (such as the fact that Louisa didn’t really enjoy writing this type of book). Perhaps I needed to read it when I was a kid. The book has a “formula” feel about it but it has its charming moments. As much as Louisa held to feminist ideals, she never dismissed the importance of the family, the home and its care. In this chapter (as she also did in Little Men, Chapter 4, “Patty Pans”), she raises domesticity to a higher level. A surprising choice . . .
Rose goes on to learn how to cook from Aunt Plenty with her crowning achievement being a perfect loaf of homemade bread for her uncle, made with great care and presented with love. Having no natural talent in all things domestic, I envy those who have that talent. Matters of the home are often dismissed today (as it was beginning to be back in Louisa’s time) as lowly, commonplace, even demeaning: definitely not a worthy pursuit for today’s liberated woman. Louisa, however, brings out the intrinsic value of housekeeping, that of creating a welcoming environment where all family members feel loved and cared for. She equates good housekeeping with love. I only began to understand that very recently with my sister-in-law. 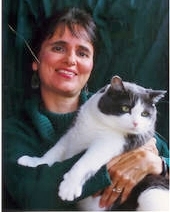 Cynthia is an accomplished gourmet cook (in the school of Julia Child, her idle; she has a recipe card with Julia’s autograph, framed on her stove) and is also talented in knitting and crocheting. She always creates a theme for the meal, complete with music, and at a birthday get-together back in March we were treated to an authentic French dinner. After stuffing ourselves with nine pounds of mussels smothered in butter and crème sauce and other goodies, we sat back, allowing the inevitable food coma to engulf us. I leaned back in my chair, too sleepy to talk, and began to observe, for the first time, how much love Cynthia put into the preparations and presentation. When dessert of delicious chocolate-coffee mousse was served, she declined eating hers, declaring that she’d rather watch everyone else enjoy theirs. It was at that moment that I had my epiphany, understanding my sister-in-law for the first time. She lavished her love generously through her cooking. In that moment, domesticity became art to me. Eight Cousins shows this too. Rose is proud of her loaf, made with such love for her dear uncle after much trial and error. Uncle Alec receives the loaf with true appreciation of the care that went into its making. In Little Men, Louisa shows a different side to domesticity, making it fun for the one little girl at Plumfield. Daisy was feeling left out because the boys would not allow her to join in their football game even though she and Demi would play on occasion. 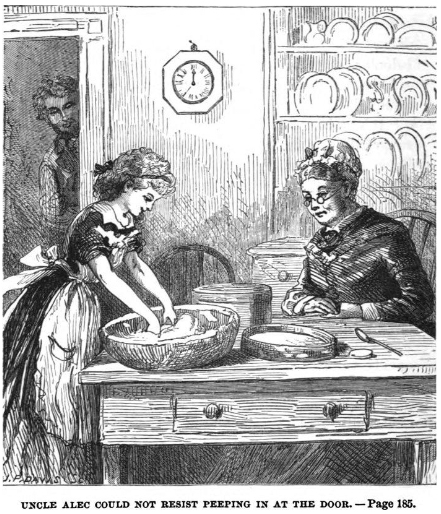 She begged Aunty Jo for a new game (or “play,” as she called it) and Jo, inspired by Daisy’s interest in making gingersnaps with Asia, the cook, outfitted her with a complete toy kitchen! 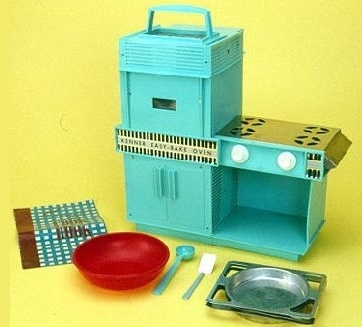 Reading the description of the child-sized stove and dishes, I thought back wistfully to the fun so many girls my age had with the Kenner Easy-Bake Oven. What a thrill it was to bake our own cupcakes, tiny as they were, in our own ovens. And then there were the Girl Scout cooking badges you could earn by learning how to prepare meals for your family. Never being good at cooking, I didn’t learn much but it was a lot of fun. Eight Cousins in particular offers many different ideas about raising a girl to be a good woman that were considered peculiar or even radical in Louisa’s day. Rose, after all, was taught never to wear a corset as it was better for her health, was encouraged to run, jump and be active outdoors, and was shown how her body worked as seen in Chapters 18 and 19, “Fashion and Physiology” and “Brother Bones.” Her great aunts often grumbled about Uncle Alec’s strange ideas of raising a girl. Yet Louisa, career woman and spinster, never turned her back on the value of the family and home life. Kitchen duty may not have been her favorite thing to do, but she understood how all the pieces of domesticity worked together for the whole – a happy, well-loved and well cared-for family. In later years she would welcome her sister’s child, Lulu, into her home as her own. Louisa presented a balanced view of a woman’s life, understanding that the many pieces could work together in harmony so long as the men in her life allowed it. Uncle Alec was one of those men. P.S. I have just started Little Men and will write more about it over the coming weeks and months. 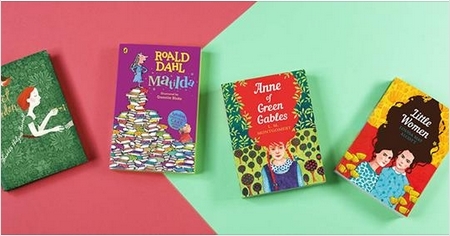 I realize that the posts I do about Louisa’s books don’t always come in a consistent manner. I have however, gathered up and organized all the posts I’ve done so far on the books covered in this blog so that you can find them. Visit the menu at the top of the page, select “Her Writing,” and from the drop-down menu, choose the book you’re interested in to see all the posts. I like your picking up on Alcott’s respect for domestic management. I suspect she enjoyed the managing more than the doing, as all the Alcott women had plenty of experience with the doing in girlhood. If you have not yet read Rose in Bloom, which continues the story of Rose and her cousins, I will be interested to know whether you like it as much. In Eight Cousins Uncle Alec opens Rose up to a greater variety of experiences than was usually recommended for girls at that time. In Rose in Bloom it seems to me he sets more limits on her. I do plan to read it eventually so I’ll remember to look for that. I just started Little Men and still have to finish Eight Cousins so it will be awhile yet. Eight Cousins was one of my favorites growing up. I thought it was be fun to have all those cousins to have adventures with. When I read it recently, I felt it was a bit preachy but not as much as Little Women. I didn’t like Little Men then or now. I hate that Daisy is given a toy stove to make mud pies for the boys. I think no one would have bought Louisa’s books if she didn’t encourage domesticity. Domesticity was what women did, even the most liberated of them had families and homes to care for. 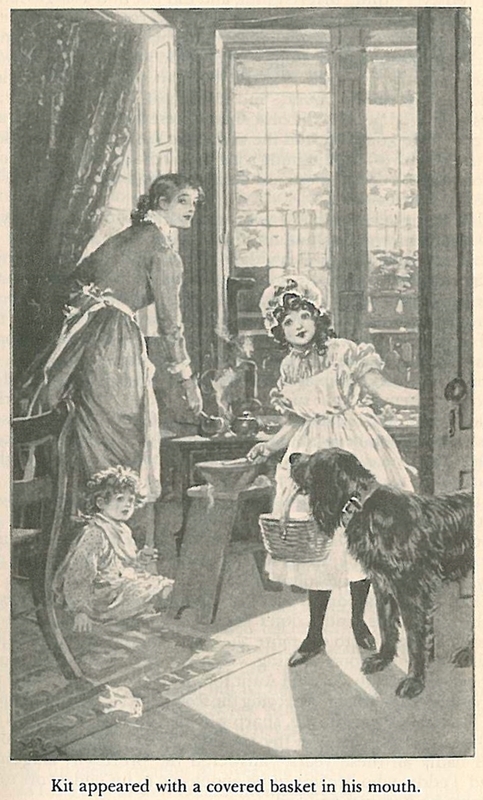 Domestic fiction was also extremely popular for girls in the mid-late 19th century. 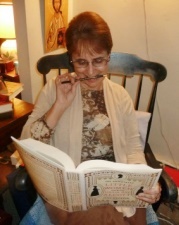 Louisa just had a certain knack for making her stories fun and memorable so they endure over the years. I thought though that Louisa’s writing on domesticity rang true – I do believe she felt there was true value in it. I did not like Little Men at first because I tried reading it right after Little Women, expecting a similar experience and Little Men is quite different. Now I see it differently and like it a lot better. It’s like The Lord of the Rings trilogy – The Fellowship of the Ring was my favorite because of the fellowship being together. When they split up, I wasn’t nearly as interested. Same thing with the March sisters – I loved it best when the sisters were together. Not about the book, but the domesticity being celebrated. I am always perplexed as to the flack that Martha Stewart has gotten over the years from women. If you read about her “Living” brand, its purpose was to take what we all do (out of necessity) and suggest that it be considered an art, elevating our lives, our homes, our food, our celebrations, our “living”. How more feminist does it get, than to to finally recognize what so many have poured their hearts and energy into on behalf of their families? 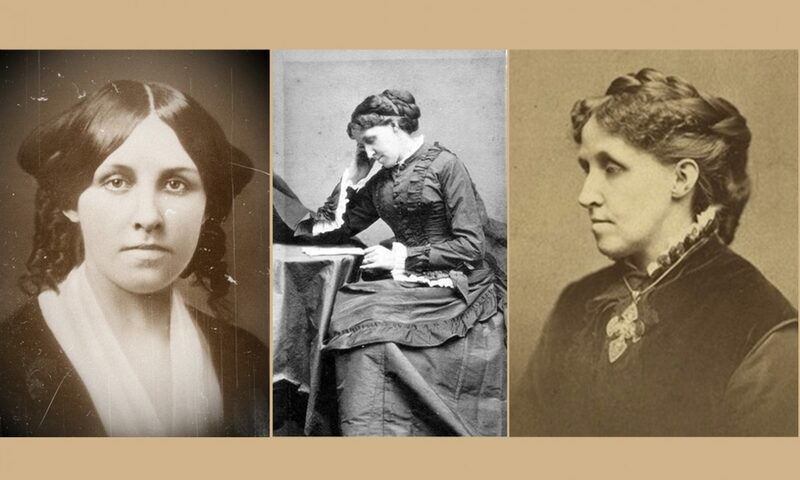 I adored all of Louisa May Alcott’s books when I was a girl. I love my career (actually my “calling”, I’m a musician), and I love my home-making, so I enjoyed this article very much. Thank you for your great blog! Eight Cousins is my favorite–but I did not enjoy Rose in Bloom as much. I find most people feel the opposite way, so you might be in that camp! I have never read Little Men but now you have me interested. Little Men doesn’t focus (perhaps yet) much on the Little Women but more the boys and girls at Plumfield. Their stories are enjoyable but I hope there will be more about Meg, Jo and Amy later on. And Laurie too.